Rediff.com » Travel-Living » Be Eco Friendly And Go Green! Artificial preservatives and synthetic fragrances in your personal care products may trigger allergies or worse, cause permanent damage to your sensitive skin. Organic Cosmetics, Soaps, Hair Colors do not contain synthetic materials and even the preservatives are natural. Green living can be highly rewarding to the environment and is a great way to not only help a person feel better about contributing to society and the earth but maintain a wonderful hobby that will last their entire lives. Permaculture gardening is an excellent way to grow your own food and use what Nature gives you to make it happen. Use Organic pesticides to give your plants, natural and chemical free nutrients. It will also result in tastier fruits and vegetables for you. Buy Organic Plant Protectors and Seeds here. Starts from Rs 47 only! So many decisions we make in our everyday lives have a major impact on the planet. You too can make small changes that are eco-friendly and will have a lasting effect. For instance, it is a given that in today’s day and age we cannot make do without gadgets like our Mobile Phones. 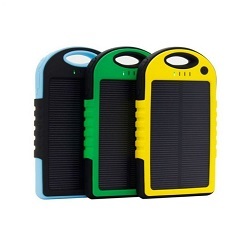 Consider using natural Solar Power to charge up your Power Bank instead. There's a substantial amount of CO2 pollution from making plastic bottles, filling them and transporting them around the country, and finally most discarded bottles end up in landfills and garbage dumps, where they do not break down for hundreds of years. Why not switch to reusable bottles instead. You can even consider Metal Bottles of the thermally insulated type. 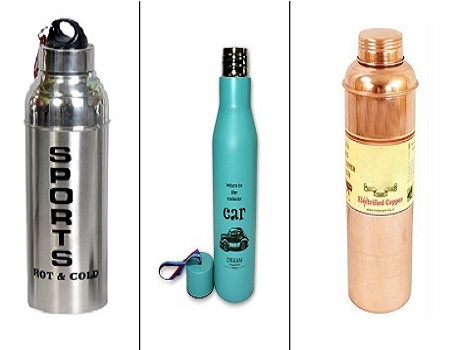 Click here to browse through a wide range of Water Bottles. Starts from Rs 150! 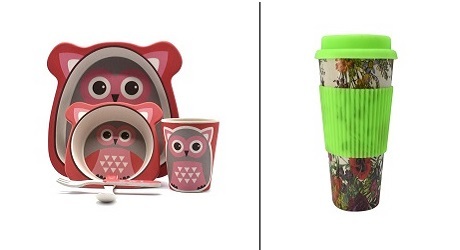 Green living also means buying products that are conducive to the environment and living in such a fashion that is safe towards the environment. For instance you can easily substitute your family’s plastic and metallic serving dishes with eco-friendly alternatives made from natural Bamboo and Wood. Actions such as recycling, pollution reduction, nature conservation and plant and tree cultivation will all create much more sustainable world for. Remember, the Future of your Children and the next Generation depends on it. So be the change you want to see. Go Green, naturally!